On average, approximately ten eggs are collected per patient resulting in an average of seven embryos per patient. Usually no more than two embryos are transferred at a time. 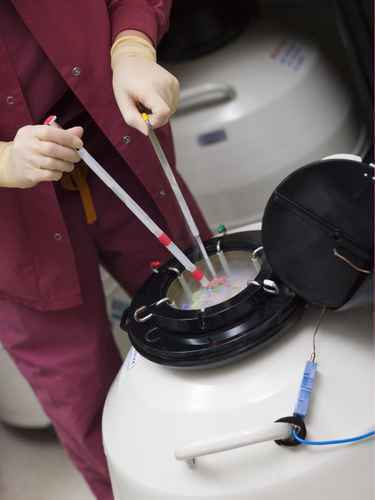 It is possible to freeze some of those embryos, which are not immediately transferred. The decision to freeze the embryos will depend on the number and quality of embryos remaining. It is known that embryos that are not of good quality (as shown by their physical appearance under the microscope) will be unlikely to survive the freezing and thawing procedure. However, if there are a sufficient number of good quality embryos available, these can be frozen and preserved in this state for up to ten years. Under the Singapore Ministry of Health Guidelines for embryo freezing, the current policy is for the embryos to be frozen for up to 5 years in the first instance. This period can then be extended to 10 years in certain special circumstances. The frozen embryos can be thawed out and transferred back into your uterus in a subsequent cycle or cycles. The chances of pregnancy resulting from frozen embryos are not as good as that from fresh embryos but, nevertheless, this does offer a supplementary chance compared to if freezing was not available.